We had 7 beers and two ciders poured there, including two beers on nitro. We had the first Club BBQ on Saturday, July 23rd at Eric Sowa’s house. Big thanks to Eric for hosting, and thanks to all who came. Sam really enjoyed it, and hope that those who came did as well. We’re working on planning the next club event. HHCBC, Homebrews & Handgrenades, and LIBME have collaborated on getting Gordon Strong to Long Island this past weekend. Gordon did a brew day/Q&A session at H&H on Aug 13, and a book signing afterwards. On Sunday there was a beer brunch with a discussion by Gordon at Jackson’s. Saturday, August 20, John DiSpirito will be hosting a “Learn to Brew” / Social brew day at his home in East Meadow. There will be multiple people brewing and a bunch of us will be there watching/helping/heckling. If you’re interested, see John. We had a few members take the BJCP tasting exam a couple of weeks ago. Limited amount of homebrewer spots. Sign up soon if you want to pour your beer there. Currently no entries for the competition. If we don’t get at least six entries in the next week or so, we are going to cancel it. New chopped teams announced. Style will be Pumpkin beers. Bracket style voting at the October meeting. If you’re interested in participating and aren’t on a team, contact Ken Dalton. The next meeting will be Tuesday, September 20 at the Black Sheep in Mineloa. 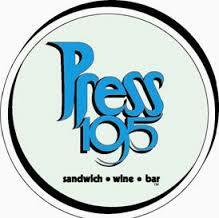 We want to take a moment to thank Press 195 for having us back.